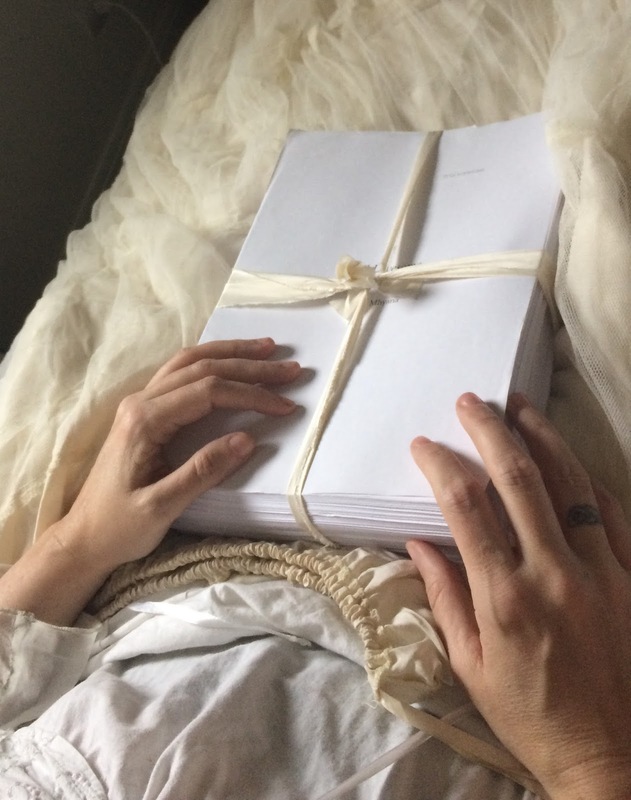 Sean tied my manuscript with satin ribbon…I have a few manuscripts I need to get out into the world. The one above is my manuscript for Self-Portrait in Blind Tones – a collection of essays and prose. According to Merriam Webster, the word prospect comes from the Latin prospectus, which means to view, vision, survey. It also means perspective, to view things from different vantage points. Sean and I lie in bed together in a village to the south of Florence and, sick of sobbing, we view our situation through a different lens. I’m not homeless, not deported from my home, not in exile. We don’t count change with knots in our stomachs, hoping the euros will buy us our next meal, and the next, and the next. We close our wallets and look for wealth in antique embroidered pillows, edge-gilded books with golden clasps, a faded gold fleur de lis on a chipped tea cup. Like prospectors, we sieve our rented room and our memories for anything that shines and add each glint to a mental ledger. 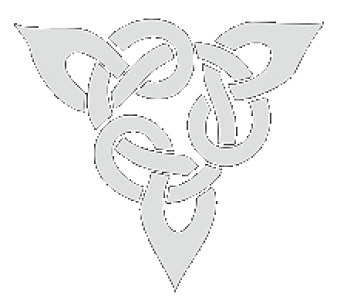 We lay claim to every gleaming thing. The sun only has to rise, or a light bulb to burn, and we’re surrounded by gold. Copper is gold’s distant cousin, but it can be stripped and sold, so we add it to our account. Behind wallpaper or drywall, hidden from view, electronic currents rush along copper wires from switches to bulbs or burners, like nerves sending signals from the central nervous system to our eyes, mouths, hands. When I turn on a light, my mind sends electrical messages along nerve pathways to muscles in my hand that flick the switch. From inside my body to inside the wall of my house, electricity streams. My will is turned to electronic current. Copper is a fuse burning end to end, a tightrope of fire. With a swipe of a switch, we summon electrons and turn copper to golden heat, light, or fire. My love is a minor Prometheus, thieving the gods. He once stripped copper wire from dilapidated buildings and sold it for petrol money so he could visit me – a four hours’ drive south from Manchester to Oxford and back again. He wound the wire into bobbins and threw them in the back of his van. Two trash bins’ worth were traded for sixty pounds at the scrapyard. The copper soon turned to liquid gold, filling the petrol tank. Our first kisses were fuelled by the nerves of ruined buildings.